This B&O snow flanger has been inspected and stands ready for work. 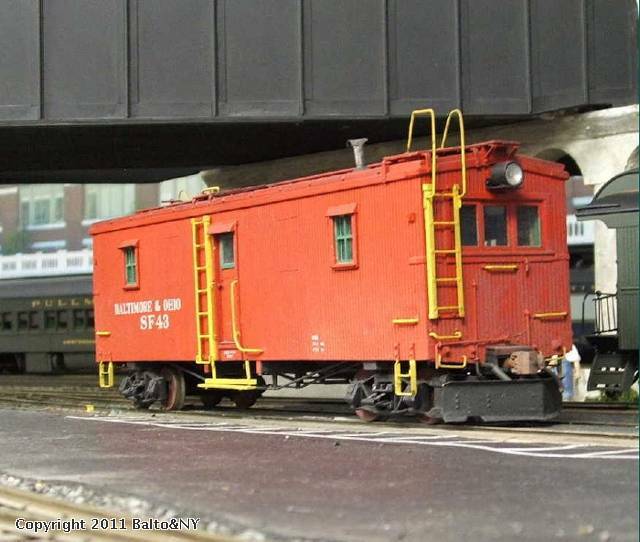 The model was re-built from 1952 Train Craft tool caboose kit in the 1990's. New siding was put on, a front window cut into one end, with smaller caboose sized windows installed, along with other details. The front plow was built in brass from B&O drawings. The prototype began as a Class M-8 boxcar number 42005 built by Pullman in September 1897 and rebuilt to Class M-8B number 98294 at Chicago in 1913. In 1929 it was converted to snow flanger SF 43 by B&O at Locust Point MD. 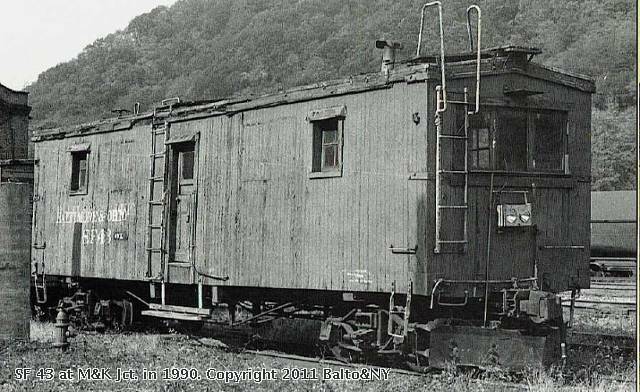 In 1941, it was converted to become a class C-14 caboose number C-1652 at Keyser WV for the WW II years. By December 1945 it was changed back to snow flanger 43, stationed at M&K Junction in West Virginia. The last of its kind, here is prototype SF-43 awaiting a move to the B&O Museum in the early 1990's. Before it could be readied for the trip to Baltimore as a special-handling flat car load, it was burned by vandals to become a total loss in 1995, two years short of its century mark.